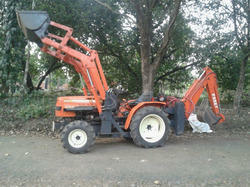 We also provide a superior range of Mitsubishi Shakti Mini tractor attachments to our clients. 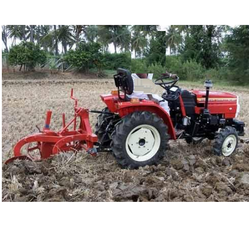 Five types cultivator can be easily attached with Power tiller with help of Hitch bracket & three point linkage. Five types cultivator fittment is commonly used as secondary tillage equipment mostly in dry lands for loosening the soil, removal of crop roots,weeds and for inter cultivation in orchards etc.A little moisture in the field increases the tilling efficiency. 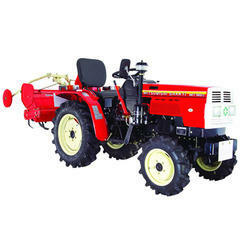 The offered farming tractor is the newly designed & constructed with improved efficiency. 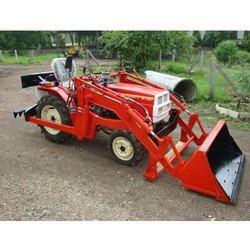 These are very handy in field decreases the labor cost and time, increases the productivity. The new features & ease of use makes them more handy. 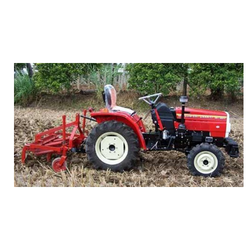 We specialize in offering an exclusive range of Agricultural Implements Mitsubishi Shakti MT-180 D Tractor to our clients at competitive prices in India. Our range is sourced from certified vendors in the market and extensively used in different sectors. Furthermore, we make sure that our range is free from any defects and ideal for various applications. We also meet the meet the bulk demand of our clients within the committed time frame. 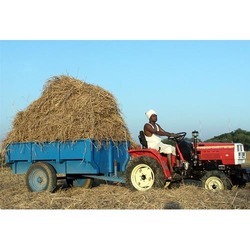 Front Loader & Backhoe With 22hp Tractor offered comes in precision construction finish and is suitable for use in farms, greenhouses, orchards. A Revolution in material handling -front end loader attachment on Mitsubishi shakti tractors. Cylinder & high tech hoses. Reversible mould board plough is primarily used to plough virgin fields, fields that are left unploughed for long periods,fields that are too hard, full of deep routed unwanted plants, shrubs, weeds etc. We also provide a superior range of Mitsubishi Tractor attachments to our clients. Plough can be attached with the help of Hitch bracket. Used in grape‚ promogranates‚ & other fruit gardens‚ to carry fruits from garden to packhouse‚ to carry fertilizers in gardens‚ to do transport work of packed fruit boxes from garden to market‚ cold storage etc.to carry sand‚ murum clay in gardens. Easy to operate & use in grape gardens of having less height‚ width also due to its compact design.